Fish oil supplementation boosts energy expenditure after a meal, so it makes weight loss or maintenance of a healthy weight a tiny bit easier. Canadian nutritionists at the University of Guelph discovered this from an experiment they did on six men whose glucose and insulin balance was out of whack. 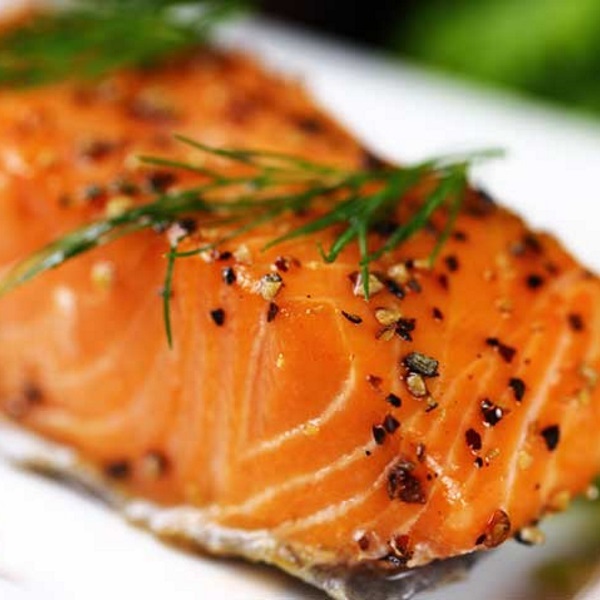 The polyunsaturated n-3 fatty acids in fish improve body composition. Studies show that they increase muscle mass and also help muscle mass to react better to strength training. They also induce the body to burn more energy. Studies also show that people who consume large amounts of fish fatty acids are less fat than people who consume low amounts of the substance. The Canadians were most interested in finding out about the fat-decomposition effects of fish oil. They were curious to know whether functional foods, to which manufacturers had added extra fish fatty acids, would help people with metabolic syndrome – the combination of overweight and diabetes – to achieve a healthy weight. The researchers got their subjects to eat food containing high concentrations of n-3 fatty acids for a period of 14 days. A list of the products is shown below. As a result of the diet, the intake of EPA and DHA rose from 0.4 to 2.9 g per day. The 14 days were too short to reduce bodyweight or fat mass, and the amount of fat that the men burned while resting didn’t increase either. What did change was the postprandial thermic effect of food [postprandial TEF]: the increase in energy expenditure occurred every time after a meal. At the end of the 14 days it had increased by 51.3 percent. The researchers measured the TEF after a hot meal containing 920 calories. The meal contained 1.4 g DHA+EPA. The thermic effect starts to decline a few hours after a meal. From this you can conclude that fish oil supplementation for dieters works better if they spread their capsule intake over the different meals. Can J Diet Pract Res. 2011 Winter;72(4):201-4.